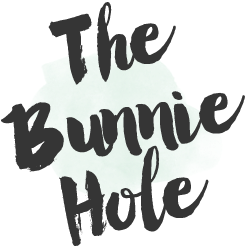 TheBunnieHole | Vancouver Youtuber & Blogger: Review: Dainty Doll Blusher | "My Girl"
Review: Dainty Doll Blusher | "My Girl"
Being introduced to Dainty Doll Cosmetics for the first time is like lighting up a disconnected beauty circuit in my brain. Why has this not caught on before! The line, created by porcelain skinned Girls Aloud member Nicola Roberts, features a artfully selected range of colour cosmetics specifically meant to enhance pale skin. Foundation not light enough? Blush looking too harsh? Dainty Doll is here to save your beauty routine. 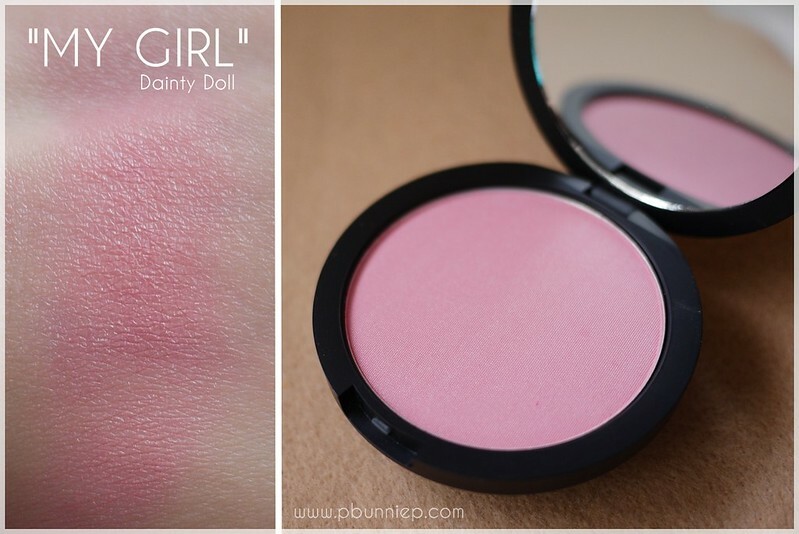 Product: Powder blusher in #002 "My Girl"
My introduction to Dainty Doll Cosmetics was completely accidental but what a wonderful encounter nonetheless. I had been on my usual monthly eBay browse and was initially smitten with the chic cover art of the packaging. A little digging brought me to blogger swatches, photographs and in no time, I knew I had to get one too. In it's matte black packaging with a simple logo, this blush features a round mirror and it's large pan format makes dipping your blush brush inside fuss free. 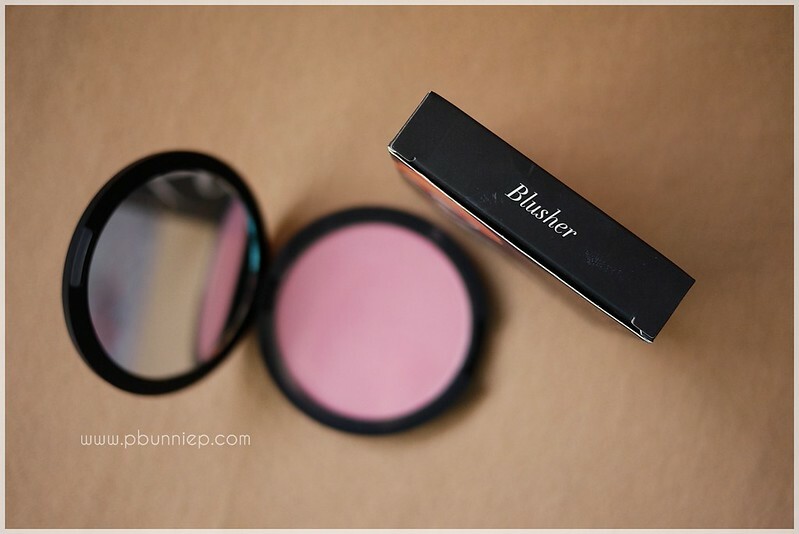 The entire compact, while made of plastic, has a heavier weight and therefore feels slightly more high end than your average drugstore blusher. "My Girl" is a labeled as a soft pink which comes off saturated and with a heavy dose of silver micro shimmer. When applied on the cheeks, this can work both as a blush and highlight, the iridescence catching beautifully on the cheekbones that I really didn't need any extra highlighter at all. The colour itself leans ever so slightly towards a cool tone and is what I would call "princess" than "Barbie". 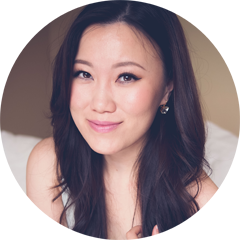 I love how truly buildable this blusher is and can be worn subtly or as a main feature and it's one that I've used frequently for filming. 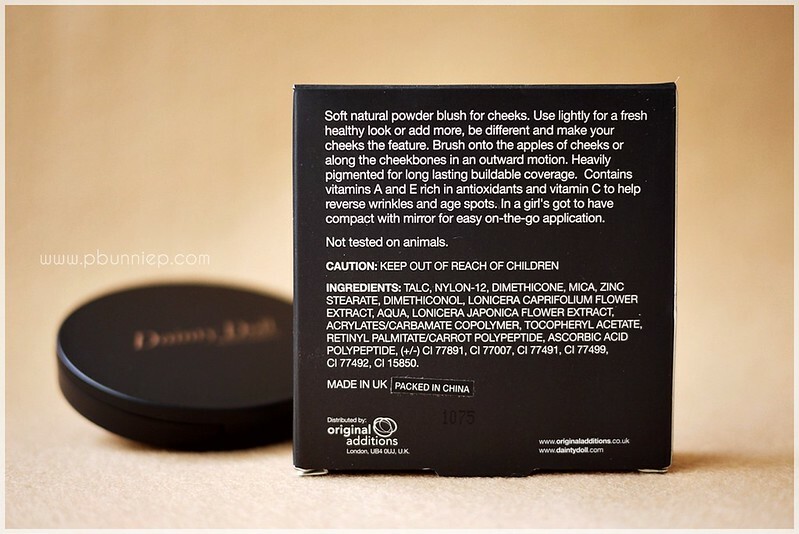 The formulation sits smoothly on the skin without a powdery feel or look, producing a pretty translucent result that is...as the brand stands for, very pretty on pale skin. Wear time is average but it never fades completely to the point where I felt a full touch up necessary through the day. Overall, a surprisingly beautiful find if you can get your hands on this! Oh wow, that is a beautiful swatch! It looks so soft and natural! what a pretty color and it's great that this brand is focuses on producing products for really fair girls. oh man, i use to trawl through ebay too but mostly for korean cosmetic and skincare products. do you usually search the same things or shops? which ones? What lovely blush! I've always wanted to try something from the Dainty Doll line, but I heard they were going out of business and that it's becoming increasingly difficult to find products! Have you heard anything about that? This is just the blush color I'm looking for! Awww..the color is so cute!